In the January number of this Review, Mr. Herbert Spencer published an article called 'Religion: a Retrospect and Prospect.' In the March number Mr. Harrison made a variety of observations upon it in an article called the 'Ghost of Religion,' intended 'to point its practical moral' and 'to add to it a rider' of his own. I wish to add some observations on their views. The evidence to prove this theory seems to me weak, and, whatever is its value, the conclusion is not plain. I do not clearly understand what is meant by 'a consciousness,' or how a conception 'by disappearance of its limits' can become a consciousness; or how, if this takes place, it can be known that the state of things so created will' remain for ever.' I should have thought that, if the conception of God were proved to be an incoherent absurdity, the word 'God' would fall into disuse, and the belief in God cease to influence mankind. That internal energy which in the experiences of the primitive man was always the immediate antecedent of changes wrought by him . . . is the same energy which, freed from anthropomorphic accompaniments, is now figured as the cause of all external phenomena. The last stage reached is recognition of the truth that force, as it exists beyond consciousness, cannot be like what we know as force within consciousness; and that yet, as either is capable of generating the other, they must be different modes of the same. Consequently, the final outcome of that speculation commenced by the primitive man, is that the Power manifested throughout the Universe distinguished as material, is the same power which, in ourselves wells up under the form of consciousness. First, I agree that our only direct experience of force is of 'that internal energy which' we are 'conscious of as muscular effort.' When a man says 'the wave strikes the shore,' 'the fire burns the stick,' 'the lightning splits the oak,' he personifies the wave, the fire, or the lightning to that extent, but this process pervades all language whatever. It has no special connection with the primitive man's supposed theory about ghosts, and if the fact of the primitive man's ascription of effort to ghosts proves that there is a germ of truth in his theory, it may be proved by the same argument that there is a germ of truth in everything everybody can be supposed to have ever said since language was invented. Again, if force properly speaking means muscular or nervous effort, and if the application of that word to external nature is merely symbolical, and if all that we know of objective force so called is that it is unlike subjective force so called, it seems at least inconsecutive, if not contradictory, to go on to say that the two are both forms of one thing, which operates in nature as objective force, and 'in ourselves wells up under the force of consciousness.' To make this a little plainer take the three common words effort, force, and energy. Let effort mean that of which every man is conscious in himself, force that which he ascribes to material objects, and energy that of which both effort and force are said to be manifestations. Mr. Spencer's proposition will then stand thus. We know what effort is by direct experience. Of force we know nothing at all except that it is unlike effort, but we are obliged to use the word in order to describe the operations of external nature. Of energy we know still less if possible than we know of force; but this we can affirm, that, whatever force may be, it is one form of energy, whilst the other 'wells up in our consciousness' as effort. Is not all this an unmeaning playing with words? The word 'force' so used is a mere metaphor. Energy is a conjectural metaphor, a metaphor upon a metaphor, a something which possibly may be the meeting point of two different things, of one of which (force) we know only that it is unlike the other (effort), whilst of effort we know hardly anything, because each man's experience of it is confined to his own internal consciousness, so that he can neither compare it with other things nor with the experience of other people. This intricate game of which words are the counters reminds me of Isaiah's description of the manufacture of idols. Effort and force and energy are to Mr. Spencer what the cypress and the oak and the ash were to the artificers described by the prophet. He works his words about this way and that, he accounts with part for ghosts and dreams, and the residue thereof he maketh a god, and saith Aha, I am wise, I have seen the truth. Such words as force are no doubt the instruments by which all our knowledge is gained, but in order that they may not become our masters we must remember that they are subservient to the senses and must be continually tested by them. For instance, when we speak of the force of gravitation, we mean no more than that, so far as our experience goes, all heavy bodies move in the same way in which they would move if they were all consciously pulling each other together with a certain degree of effort, but there is not the smallest reason to suppose that there is any such consciousness or effort anywhere. The only reason for using the expression is that it abridges, so as to present to our imaginations in a manageable form, the facts which we observe. For these reasons the positive part of Mr. Spencer's article appears to me to be unfounded. I can see in it nothing but a series of metaphors built upon one another, and ending where they began. The whole theory is a castle in the air, uninhabitable and destitute of foundations. That which Mr. Spencer regards as the last result of his views in the religious direction displays its baseless and wholly unimportant character in a more striking light than the rest. The man of science is likely to be greatly impressed by the extent and complexity of the subjects which he studies, 'but amid the mysteries, which become the more mysterious the more they are thought about, there will remain the one absolute certainty that he is in presence of an Infinite and Eternal Energy from which all things proceed.' This Mr. Harrison describes as a ghost of religion, a belief that can have no effect at all on any man. Putting Mr. Spencer's final result into simpler words, he says it comes to this: 'All observation and meditation, science and philosophy, bring us to the practical belief that man is ever in the presence of some energy or energies of which he knows nothing, and to which he would be wise to assign no limits, functions, or conditions.' I agree with this as far as it goes, but Mr. Harrison should have added that it is further to be observed that the word 'energy' itself is the name of nothing known to us. It is merely the symbol by which we express a sort of guess that perhaps there may be in nature something like the sense of muscular effort which man perceives in himself. The same remark applies to the expression 'in the presence of.' When we say of a man that something was done 'in his presence and hearing' we mean that the man was near enough to see and hear what was done; but when we say we are in the presence of something of which you can say only that you commemorate your guess that it exists by a metaphor which is probably inappropriate, I do not know what you mean. In short, Mr. Spencer's conclusion appears to me to have absolutely no meaning at all. It is so abstract that it asserts nothing. It is like a gigantic soap-bubble not burst but blown thinner and thinner till it has become absolutely imperceptible. It seems to be matter of perfect indifference whether the man of science (rather of nescience) asserts, 'Of this at least I am sure: I am in "the presence of an Infinite Eternal Energy from which all things proceed,"' or 'I am not in the presence of an Infinite Eternal Energy from which all things proceed.' Suppose we knew by some means or other that there were many separate energies of various amounts, each of which would cease to act at a fixed period of some great number of years, what perceptible difference would this make to all or any of us in any respect whatever? but if any such proposition were true, Mr. Spencer's 'one absolute certainty' would be untrue. This shows that its truth or falsehood is matter of absolute indifference. If this is the prospect before religion, it would surely he simpler to say that the prospect before it is that of extinction, that men will soon come to see that nothing can be ascertained, or even regarded as moderately probable, about the various questions which are generally described collectively as religious. There is much to be said for the conclusion that to think about anything which lies beyond the limits of this present life and of the things which we can see, hear, touch, taste, and smell, or infer therefrom by definite logical processes, is mere waste of time and labour; but if this is the conclusion reached, why not say so plainly? So far I am happy to be supported by and to agree with Mr. Harrison, whose article, though at greater length and in a much more lively and interesting manner, says very much what I have said. I may add that Mr. Harrison's knowledge about remote times and places is so much greater than my own, and indeed than that of most other men, that it is doubly satisfactory to agree with him. For instance, he knows, or at least affirms, which he would hardly do unless he knew it, that 'beyond all doubt the hypothesis of quasi-human immaterial spirits—spirits working within and behind familiar phenomena—did take its rise from the idea of the other-self;' also, 'beyond all doubt the phenomena of dreams and the gradual construction of a theory of ghosts is a very impressive and vivid form of the notion of the other-self;' and, again, he knows that 'nothing is more certain' (not even the multiplication table) 'than that man everywhere started with a simple worship of natural objects.' 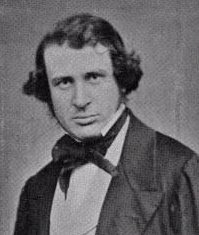 When a man so positive and well-informed applies to Mr. Spencer's religion the remark that 'to make a religion out of the Unknowable' (which he had previously derided for 'managing to get itself spelt with a capital U') 'is far more extravagant than to make it out of the Equator,' and when he suggests in a great variety of forms of speech that many of Mr. Spencer's abstractions are so very abstract that they border on being wholly unmeaning and sometimes even cross the border, he encourages those who are more sceptical or less well-informed to say that to them at least Mr. Spencer's theory appears to be that religion as commonly understood has got its deathblow, that it has before it no prospect except that of speedy extinction, and that the sooner we get rid of the notion of raising some sort of ghost of it, the better it will be for us. In any reasonable use of language religion implies some kind of belief in a Power outside ourselves, some kind of awe and gratitude felt for that Power, some kind of influence exerted by it over our lives. There are always in some sort these three elements-belief. worship, conduct. A religion which gives us nothing in particular to believe, nothing as an object of awe and gratitude, which has no special relation to human duty, is not a religion at all. He goes on to show how the religion of the Unknowable, as he calls it (Mr. Spencer does not use the expression), fulfils none of these conditions, whereas Positivism fulfils them all. Mr. Harrison has made us all so familiar with the leading doctrines of his creed that I need not here restate them, but may proceed at once to repeat, perhaps for the fifteenth time, the reasons which seem to show that it is open to every objection which he so justly brings against what he regards as Mr. Spencer's creed. These reasons are broad, common, and familiar. So far as I know they never have been, and I do not believe they ever will be, answered. The first objection is that Humanity with a capital H (Mr. Harrison's God) is neither better or worse fitted to be a god than the Unknowable with a capital U. They are as much alike as six and half-a-dozen. Each is a barren abstraction to which anyone can attach any meaning he likes. Humanity is used by Mr. Harrison is not an abstract name for those matters in which all human beings as such resemble each other; as, for instance, a human form and articulate speech. If this were the meaning of the word, it would at the very best be no more than a correct definition, or, to use Mr. Harrison's own words about the Unknowable, “it may be a formula, a generalization, a logical postulate; but it is not” (i.e., it cannot properly be made the foundation of) “a religion.” He uses the word apparently in a narrower sense, though he does not specially define it in the article under consideration; nor can I quote a precise definition from other writings of his, but it is something of this sort. Humanity is a general name for all human beings who in various ways have contributed to the improvement of the human race. The Positivist Calendar, which appropriates every day in the year for the commemoration of one or more of these benefactors of mankind, is an attempt to give what a lawyer would call “further and better particulars” of the word. If this or anything like this be the meaning of Mr. Harrison's God, I must say that he, she, or it, appears to me quite as ill-fitted for worship as the Unknowable. How can a man worship an indefinite number of dead people, most of whom are unknown to him even by name, and many of whose characters were exceedingly faulty, besides which the facts as to their lives are most imperfectly known? How can he in any way combine these people into a single object of thought? An object of worship must surely have such a degree of unity that it is possible to think about it as distinct from other things, as much unity at least as the English nation, the Roman Catholic Church, the Great Western Railway. No doubt these are abstract terms, but they are concrete enough for practical purposes. Everyone understands what is meant when it is asserted that the English nation is at war or at peace; that the Pope is the head of the Roman Catholic Church; that the Great Western Railway have declared a dividend: but what is Humanity? What can anyone definitely assert or deny about it? How can any one meaning be affixed to the word so that one person can be said to use it properly and another to abuse it? It seems to me that it is as ‘‘unknowable” as the Unknowable itself, and just as well and just as ill-fitted to be an object of worship. Again, a religion in Mr. Harrison's view implies a power toward which we can feel “awe and gratitude.” How can we feel either toward an unascertained multitude of people, most of whom are utterly unknown to us even by name or reputation, and all of whom are, according to Mr. Harrison, dead and done with. Most of them indeed are utterly forgotten, and when they were alive thought as little and cared as little about us as we now do about them. Further than this, how in practice can anyone feel either awe or gratitude in the proper sense of those words, the only sense in which they can have much effect upon our conduct, toward anyone but a person supposed to be living and conscious, and to be capable of actual knowledge of and sympathy with us? The principal sting of death is that it terminates all human relations whatever, and converts what were real living sentiments into mere recollections. The great point of the doctrine of a future state is that it converts death into temporary separation, and permits the living to think of the dead as beings toward whom they may still feel as they did, and whom they may expect to meet again in some human or quasi-human form. Mr. Spencer and Mr. Harrison, as I understand them, regard this belief as a dream founded on nothing; though Mr. Harrison on occasion employs much eloquence to show that the belief that a dead man is absolutely dead, and has no longer and never will have again any individual conscious existence at all, need make no difference in our feelings toward him: an attempt in which he appears to me to be about as successful as if he argued to show that to lose one's eyes did not affect one's sight. I do not mean to say anything on this view of death, except that it appears to me to be an inevitable consequence that Mr. Harrison's language about awe and gratitude to humanity represents nothing at all except a yearning after some object of affection, like a childless woman’s love for a lap-dog. Not to heap up illustrations, take at once the greatest of all. Jesus Christ has been for many centuries the object of passionate devotion and enthusiasm to large numbers of persons, of all times and countries. Is there any one single authentic instance of any person having entertained those feelings in a genuine simple way who was at the same time firmly convinced that he was merely a dead man, who no longer had any existence anywhere except in the imagination of those who think of him? It may be said that the belief that Christ rose from the dead, ascended into heaven, and sitteth at the right hand of God, whence he will come again to judge the quick and the dead, is the effect, or, so to speak, the expression of the awe and gratitude with which his disciples regarded him. Be it so, but surely this proves that the belief and the sentiment are essential to each other, and that if Jesus Christ had not been conceived of as a being actually living, and capable in some mysterious way of communicating with his disciples, if he had been looked upon from the time of his crucifixion downwards simply as a dead man, who had preached for a few years in Judaea, there would now be neither Christianity nor Christians, nor would his name have excited either awe, gratitude, or any other feeling of the sort. Of course, isolated people here and there may be found to worship anything, but I think that, exceptions excepted, Humanity is and will for ever continue to be to mankind at large just as poor a shadow of a God as the Unknowable. There is nothing really to choose between two words, one of which incorrectly expresses a universal negation, while the other is so hopelessly vague that it can hardly have the same meaning for any two different people. But if Mr. Harrison's religion presents to the mind no object of worship, has it the smallest prospect of being able to 'govern men and societies'? One, perhaps the great, standing difficulty of all religions is that the great mass of men do not really like and do not really want them. They must be compelled to come in. Neither Mahommedanism nor Christianity attained its present position in the world without exhausting all the resources both of persuasion and of force, military, moral, and spiritual. European Christianity was established by the joint operation of all the terrors of this world and the next, and, now that it has been established for centuries, the vast majority of mankind are and are reproached by the rest for being but nominal Christians, with a lukewarm affection for their nominal creed, and a practical standard of morals and conduct falling far short of its requirements. What will Positivism do with the vast mass of indifferent and worldly people? It can neither hang them nor damn them. How, then, can it hope to govern them, which Mr. Harrison tells us is one of the functions essential to a religion which deserves the name. The Unknowable is certainly singularly ill-adapted for the functions of government, but Mr. Spencer never proposed to govern mankind by it. Mr. Harrison does propose to govern. How does he mean to set about it? and in particular what will he do with the indifferent and worldly-minded? They are a numerous body. 'I can understand,' said one of the body, 'the sheep on the right and the goats on the left, but where are the alpacas to be?' Mr. Harrison's religion does not even provide a sheep-dog to bark at them, but practically all mankind are alpacas as against his religion of Humanity. These questions have been pressed on Mr. Harrison many times. I do not think he can answer any of them. Assume that Mr. Herbert Spencer's really important conclusion is the negative one, that all that has hitherto been called religion is destined to die out, and that his abstractions about the Infinite and Eternal Energy from which we proceed, and in whose presence we are, are merely unmeaning, and that Mr. Harrison's religion of Humanity is of exactly the same value, what follows? The inference is that their speculations are opposed, not merely to theology which is admitted, but to religion in Mr. Harrison's sense of the word, and this is a conclusion of great importance and interest, though it has a very different bearing upon the theories of the two writers in question. Mr. Spencer does not seem to attach much practical importance to the meagre residuum of religion which he considers will survive the absolute destruction of all theology. If he is right, all that will happen apparently will be that a certain number of persons who combine fondness for abstract speculation with a slight tinge of mysticism will find some satisfaction in thinking about the Infinite and Eternal Energy in whose presence they consider themselves to be. The part of his theory which will influence the conduct of mankind is in no way affected by this. His political and ethical speculations rest upon a basis of their own, independent not only of theology but of any sort of semi-mystical theory which may survive it, and to a small extent, and in a few cases, take its place in part or in whole. In other words, his view as to the prospects of religion is an unimportant part of his general system, and may be true or false without much affecting it. With Mr. Harrison it is entirely different. Religion is in his view the highest and most important of all things, the crown and soul of all ethical and social speculation, without which such speculation will, at all events as far as the great mass of mankind are concerned, remain comparatively inert. He would quote in confirmation of his view the history of all great religions, and especially the history of all forms of the Christian religion, as compared with the history of moral, social, and political theories, and he would ask with great plausibility, to say the least, whether any instance can be given in which mere moral theory has by itself produced any great changes, or indeed been brought to bear upon mankind at all to much purpose except in connection with some form or other of religion? He would then go on to argue (I do not affect to quote him, but merely to state the general effect which his various writings for many years past have left upon my mind) that theology having been exploded is no longer capable of producing such effects if it ever did so, and that it is the office of philosophy or science, by whatever name it is called, to discover the true foundations of a new religion, and to erect upon them an edifice which shall discharge the functions of the old ones. A great deal of this appears to me, to say the least, extremely plausible and even probable, though no one really possesses the knowledge necessary to form a complete and distinct opinion upon the subject. The changes which have taken place in the course of many ages in the moral and social principles and practices of mankind are so many and so intricate that it is extremely difficult to say what they have been, and even more difficult to say how they have been caused, and to what extent by religion as distinguished from many other causes; but, on the whole, I think it would be carrying scepticism too far to doubt that an habitual belief in a good God who exercises an influence over human life must be a most powerful motive to virtue, or that it has in fact played in various ways a great part in the government of mankind, even when it has not been coupled with a belief in a future state of conscious existence, and much more when it has. Again, to deny that Christianity in its various forms has been, and still is, one of the greatest powers in the world, or to deny that its leading doctrines have in fact been associated in many ways with all that we commonly recognise as virtue, is like denying the agency of the sun in the physical world. This well-known anecdote puts into a few words what I believe to be a great truth, a truth which has been advanced by many people from different points of view, and which in these days is not recognised as it ought to be. It is that a religion capable of discharging the functions which Mr. Harrison rightly describes as those which are characteristic of a religion, the function of uniting and governing men, must be founded on a supernatural basis believed to be true. The same thing may he expressed by saying that theology is essential to religion, and that to destroy the one is to destroy the other. If this is true, it necessarily follows that if Mr. Harrison and Mr. Spencer are right in the opinion that any supernatural basis for religion is unattainable, their doctrines tend to the absolute destruction of religion, and that all attempts to construct a religion out of science are like attempts to fly without air and without wings. I think the doctrine I have stated is true. It appears to me utterly incredible that any system or theory which is upon the face of it a mere human speculation about this present world should ever take command of men or be to them as a revelation. There is a distinct opposition between the general temper of mind which religion and science assume and produce. A genuine, thoroughly convinced Christian derives from his creed a new point of view from which all the events of life appear to stand in different relations to each other from those which common observers «an perceive, and to be, so to speak, of a different colour. Such a person either does actually see or thinks he sees some sort of providential design running through the events of life; he feels, or says that he feels, some bond of union between himself and other men, which but for his Christianity he would not feel. A whole class of motives and feelings affect his conduct which if he did not believe as he does would not affect him. Such a belief satisfies what Mr. Harrison regards as the crucial test of a religion. It is able to unite and govern men, but how does it do so? It does so by taking command of them, by ap pealing to their affections, their sympathies, their hopes, their fears in an authoritative way, by opening unlimited and mysterious perspectives before them, by raising them, in a word, above the limitations of this present world and the circle to which it confines the interests of its inhabitants. This state of mind appears to me to be not only not scientific, but unscientific. The ultimate result of science, the last thing which is to be got from it, is a belief in facts, and in rules of calculation, formulas, unfortunately called laws, which put in a short general form the facts so ascertained. These facts and the formulas, or laws as they are called, which result from them are or ought to be reached by processes of reasoning, and ought, when held, to be believed in with a degree of tenacity proportionate to the weight of the evidence by which they are established. A religious belief is essentially different from this. However it may be produced or justified, its essence is to be firm and unconditional. It resembles rather confidence in a person than assent to an opinion. In regard to morals and politics, the scientific process results not in an earnest dominant belief, but in the admission of the existence of this or that motive of conduct and in a quiet and conditional appreciation of its weight. The possibility of doubt is essential to science and fatal to religion. For this reason, if it stood alone, it might, I think, be affirmed that notwithstanding the immense importance of science you can never base a religion upon it. But there is another and, I think, a much stronger and deeper reason for the same conclusion. The very thing which disposes people to want and to accept a religion is a feeling of discontent with the actual world in which we live, with the facts perceived by the senses, and the inferences deduced from those facts by logical processes. This discontent may take every sort of shape, from that of the savage who seems to worship his fetich, much in the spirit in which a child personifies its toys, by way of satisfying a vague imaginative curiosity, to that of highly civilised men and women, who tell you that somewhere or other there must be something to satisfy what they call their spiritual wants, something to redress the wrongs and to console the sorrows which they see about them. This has suggested the paradox that a perfectly true religion would be no religion at all; the meaning of which is that a religion as such is an attempt to realise or set up an ideal, which cannot be done if you do not transcend actual facts. The essence of religion is to supply to human life something which is not in it. The essence of science is to take the world as it is, and give a clear, systematic account of it. What, then, is the account given by science of the world? It is an account not calculated to call out anything like religious feeling about the world considered as a whole, though it is certainly not inconsistent with the existence of feelings on particular subjects which have more or less analogy to the feeling towards the whole range of human life which is what is specifically meant by religion. The very last and latest assertion made, and so far as appears capable of being made, by science about mankind, is that it may possibly succeed in tracing the steps by which the human race, as we know it, gradually came into existence from some immensely remote origin, by all kinds of intricate stages most imperfectly understood. It may also conceivably show what kind of habits, maxims, laws, and institutions will produce certain effects on the human race at given times and places. Under such and such conditions (it may say) political economy, limited and applied thus and thus, will favour the growth of wealth. Such and such a way of distributing property will be found to produce such and such results upon society. The following are the subjects to which legislation may be usefully applied, and the various rights, duties, and social institutions recognised by law may be thus or thus described or defined. Science has far enough to go before propositions of this nature, correct to any moderate degree, can be laid down with reference to any important department of human affairs. Let anyone who doubts this think of the pretensions made by political economy say forty years ago, and of the great modifications which in the course of the last forty years have been made in them; or let them think of the confidence with which Bentham and his immediate followers wrote of the reform of the law, and of the modifications which a deeper knowledge of history has introduced into their theories. Put aside, however, all these difficulties, and assume the triumph of their mode of thinking. Where does it tend even to suggest any sort of religion, the existence of anything exciting any feeling of awe or reverence, the possibility of any sort of worship? Mankind is the object of our worship—mankind, a stupid, ignorant half beast of a creature, the most distinguished specimens of which have passed their lives in chasing chimeras, and believing and forcing others to believe in fairy tales about them—a creature made up mostly of units, of which a majority cannot even read, whilst only a small minority have the time, or the means, or the ability to devote any considerable part of their thoughts to anything but daily labour. For my part, I would as soon worship the ugliest idol in India, before which a majority of the Queen's subjects chop off the heads of poor little goats. If human life is in the course of being fully described by science, I do not see what materials there are for any religion, or, indeed, what would be the use of one, or why it is wanted. We can get on very well without one, for though the view of life which science is opening to us gives us nothing to worship, it gives us an infinite number of things to enjoy. There are many who think, or say they think, that if the scientific view of human life is true, life itself would not be worth having. This seems to me altogether false. We should have to live on different principles from those which have usually been professed; but I think that for people who took a just view of their own position, and were moderately fortunate, life would still be extremely pleasant. The world seems to me a very good world if it would only last. It is full of pleasant people and curious things, and I think that most men find no great difficulty in turning their minds away from its transient character. Love, friendship, ambition, science, literature, art, politics, commerce, professions, trades, and a thousand other matters will go on equally well, as far as I can see, whether there is or is not a God or a future state, and a man who cannot occupy every waking moment of a long life with some or other of these things must be either very unfortunate in regard of his health or circumstances, or else must be a poor creature. No doubt the great leading doctrines of theology are noble and glorious. To be able to conceive of the world as the work of a Being infinitely wise, infinitely powerful, and in some mysterious way infinitely good; to regard morality as a law given to men by such a Being; to look upon this outward and visible life as only a part of some vast whole, other parts of which may vindicate its apparent inconsistency with the wisdom and goodness which are ascribed to its Author, is a great thing. People really able in good faith to look on the world in that light are ennobled by their creed; they are carried above and beyond the vulgar and petty side of life; and if the truth of propositions depended not upon the evidence by which they can be supported, but by their intrinsic beauty and utility, they might vindicate their creed against all others. If, however, their views have to be given up, I do not see either that life will become worthless or that morals in particular will cease to be. I think that religion would die with theology; but, as I have said, I think we could live very well without religion, though of principles different from those which most men have hitherto professed, though for the most part identical with those on which respectable people have usually acted. Morality would be transformed, but by no means destroyed. Ubi homines, ibi mores. Men can never associate together without honouring and rewarding and protecting in various ways temperance, fortitude, benevolence, and justice. No individual man can live in any society of any size without observing this feet. sharing more or less in the common feelings, judging his own conduct according to them, and perceiving that his own personal interest is, to an extent more or less considerable, bound up in the general interest. That this state of things will hereafter produce, as it ha; in the past produced, a solid, vigorous, useful kind of moral standard, reflected to a great, perhaps to an increasing, degree in law proper); so called, seems practically certain. The change would come in regard to the mystical, emotional part of morality. If Christ is thought of as a mere dead man who in his lifetime was a mistaken enthusiast, people in general will have no wish to imitate him in being a man of sorrows acquainted with grief. They will prefer being men of rational pleasure with as little grief as may be. Christianity has deified self-sacrifice. It worships a Being who, as it tells the story, was willingly put to a shameful and painful death without any advantage to himself whatever. If this is recognised to be a mere fable, or if a purely human morality takes the place of Christian morals, self-command, and self-denial, force of character shown in postponing the present to the future will take the place of self-sacrifice as an object of admiration. Love, friendship, good-nature, kindness, carried to the height of sincere and devoted affection, will always be the chief pleasures of life whether Christianity is true or false; but Christian charity is not the same as any of these or all of these put together, and I think that if Christian theology were exploded Christian charity would not survive it. There would, no doubt, be a more or less poetic side to the most exclusively worldly morality. Military courage is not an exclusively Christian virtue. It has been exhibited on innumerable occasions in the highest perfection by men of every and of no religion. The same may be said of conjugal and parental love, of patriotism, of the sentiment of professional honour, and even of party spirit, which, by the way, is perhaps the very lowest form of disinterested virtue. But I can only hint at the way in which the vast change I am considering would work itself out. In a few words I contend that to expect to preserve the morals of Christianity while we deny the truth of Christian theology is like expecting to cut down the tree and to keep the fruit; that if the Apostles' Creed is given up, the Sermon on the Mount and the parables will go too; that parodies of them are inexpressibly dreary, that to try to keep them alive by new ceremonies and forms of worship made on purpose is like preparing ingredients and charms which would make Medea's caldron efficacious. But I also contend on the other hand that, if Christianity does pass away, life will remain in most particulars and to most people much what it is at present, the chief difference being that the respectable man of the world, the lukewarm nominal Christian who believed as much of his creed as happened to suit him and led an easy life, will turn out to have been right after all, and enthusiastic believers of all creeds to have been quite wrong. The Nineteenth Century, June 1884.